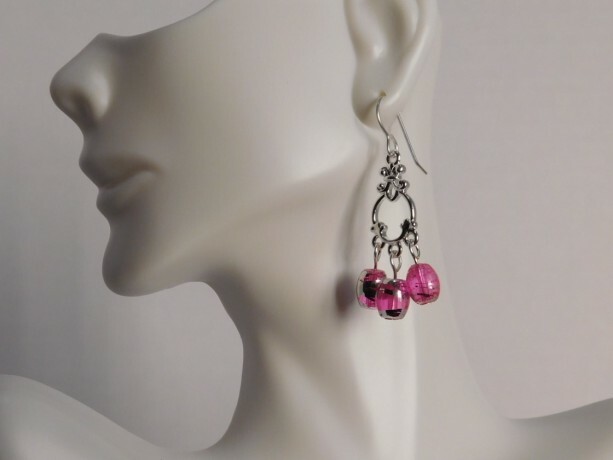 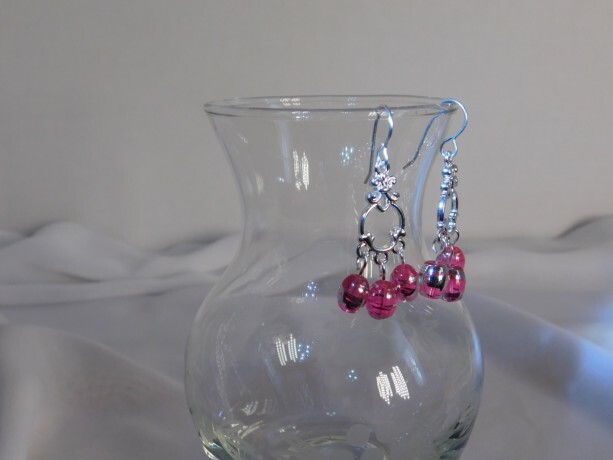 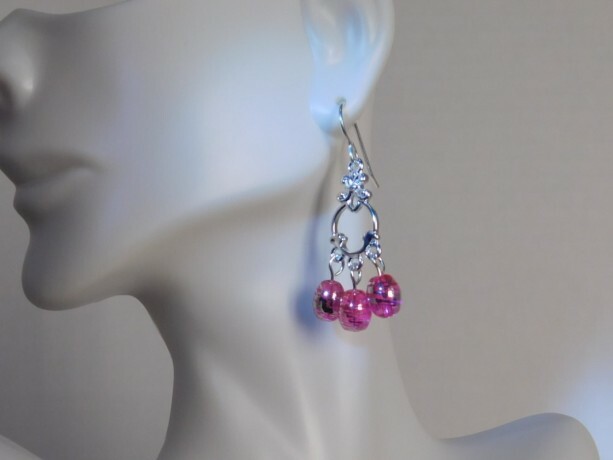 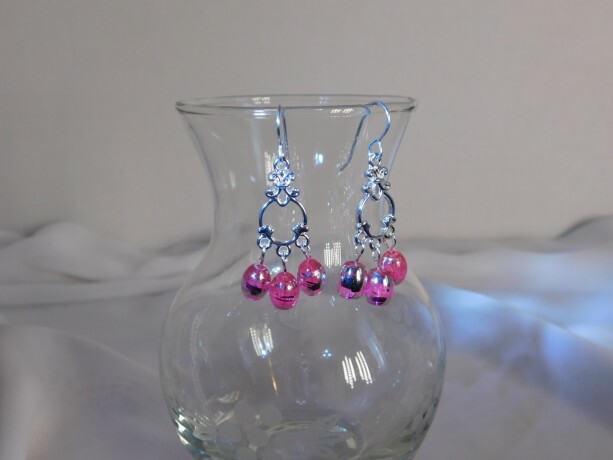 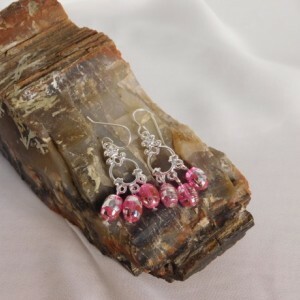 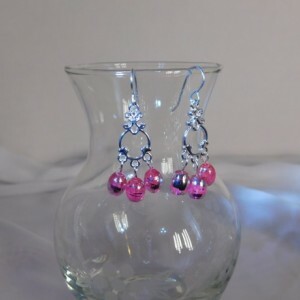 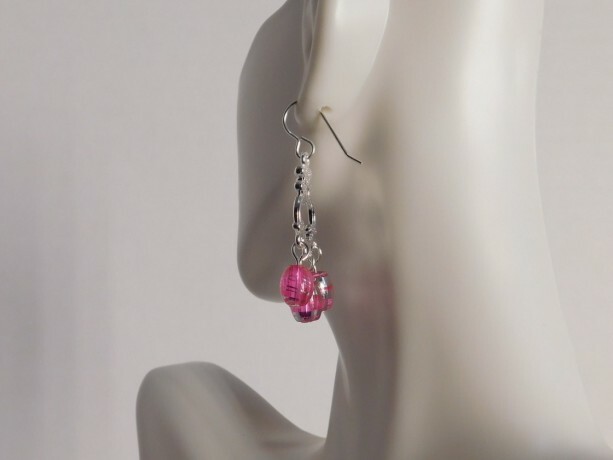 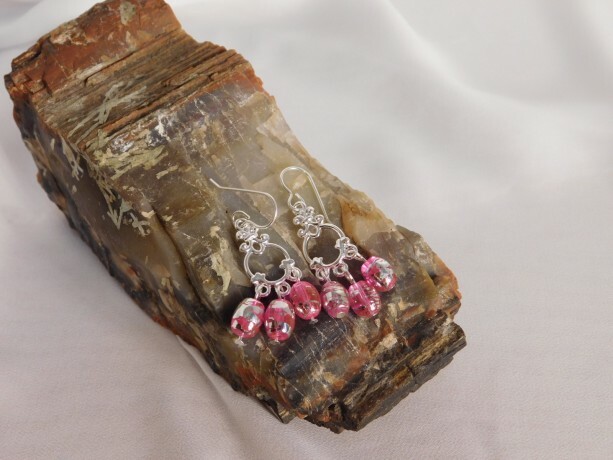 Pink glass dangle drop earrings, glass is pink with swirls of silver around each bead. 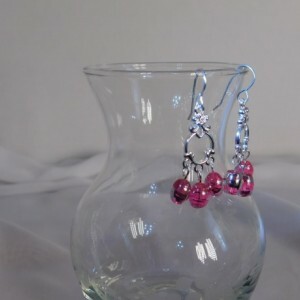 Three beads on each earring are connected to a shiny silver plated chandelier connector with 3 drop loops. 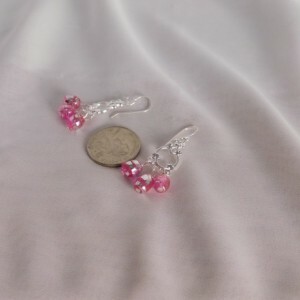 Ear wires and pins are also silver plated. 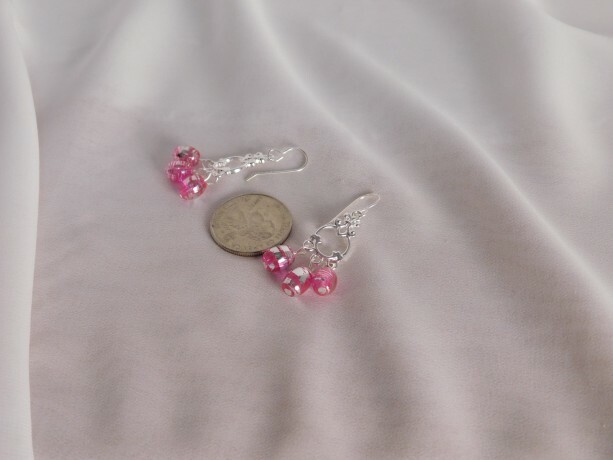 Length 1.75 inches, .50 inches wide.